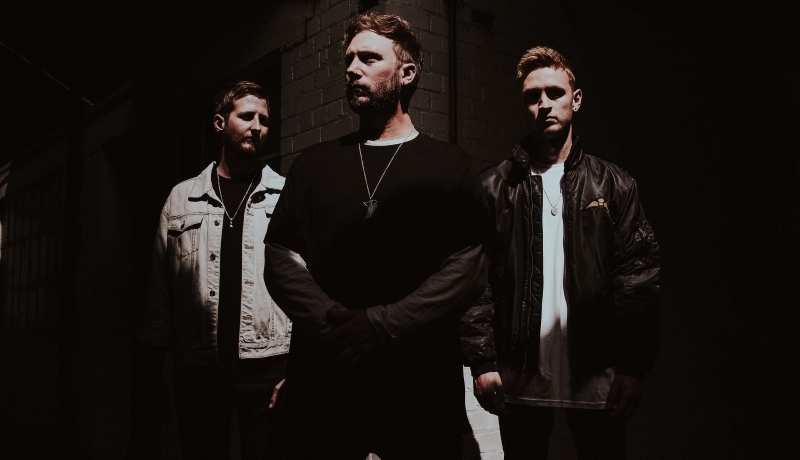 UK three piece Kill The Ideal have been starting to make a name for themselves for a little while now. In our latest introducing interview, they tell us all about themselves and what it is like to take a doughnut to the face in slow motion…..
We really became a unit when we released our first EP ‘Heritage’ in 2015. We had no idea what people would think of us but managed to go on to play shows with the likes of Decade, Black Peaks and Lonely The Brave after this release. After this we changed line-up from a 4 piece to a 3-piece and went away to really focus on our sound and to record our second and recently release ‘Self-Titled’ EP which includes singles ‘Dangerous!’ and ‘Crazy’. We now feel like we’re in a good place to move forward. We’ve recently played shows with Holding Absence and Empire and played 2Q festival alongside Arcane Roots and The Xcerts. It’s an exciting time for us and we can’t wait to hit 2018 hard! Which one of you is “the funny one” in the band? We’re all a little funny in our own way and make each other laugh for completely different reasons! We’re always laughing at each other for something stupid we’ve each done. If you had to describe your sound, how would you do so? Anthemic, Loud and Emotive. We’re really keen on making a massive sound for 3 members. We love riffs, massive choruses and heavy breakdowns but we’re also partial to a bit of pop music so there’s a little bit of pop melody in there! Do you have a particular way of song writing and writing music, or does it vary? Normally a lot of our tracks start with Ash writing and demoing ideas which he then brings to the practice studio. Ash will bring melodies, riffs and initial ideas to the studio and then we play these as a band and go from there. Recently we have worked with more production ideas and are really trying to push ourselves to our best abilities. Sometimes it can vary with regards to how long it takes for us to complete a track so that its studio ready. For example ‘Know Your Name’ took a good year before we came up with the final idea that it is today. ‘ razy’ however was really quick! It was one of them songs that just came together within a couple of sessions. A little while ago, you released a new single (Crazy) and an accompanying video, we have to ask, whose idea was it to have a slow motion doughnut to the face in the video? The whole video shoot was seriously hilarious! The doughnut to the face was actually a spur of the moment idea. Luke said to Jordan ‘Quick throw the doughnut at my face’ and it ended up being a part of the video. Every time we watch it we still laugh at this part. Although the video comes across quite funny and light hearted there’s actually quite a serious message behind it! We made a concious effort to portray this in a humerous ‘not so serious’ way. You’ve also released a brand new EP recently, how has that been received and are you guys happy with the way it’s come out? It’s been really good for us! It took us a good 2 years to finish the EP so it felt amazing to finally release it and the response has been amazing! We went through some serious rubbish to get the EP finished so to be the other side of the release and be in a better position than ever is seriously great for us! Now that the EP is released we’re looking forward to touring alot in 2018 to promote it. We already have a few things planned that we can’t announce yet but we’re super excited! If you had to choose one song of yours to show to potential new fans of the band, which one would it be and why? The 2nd single from our recent ‘Self-Titled’ EP Dangerous! is a good representation of what we’re about. It includes big riffs, emotive choruses and a heavy breakdown. The track has a real bounce / swag to it which makes it super fun to play live. It’s also a serious crowd pleaser and one that goes down really well live. Who would be your dream band to go on tour with? There’s loads! If we had to choose one we would probably say Biffy Clyro. They’re one of the pinnacle bands as a 3-piece in our genre and it would be insane to open up for them on a tour as well as watch them smash it every night! Lastly, Who is your favourite Simpsons character? If you don’t like The Simpsons you can suggest another cartoon character. Otto Mann. The cool bus driver dude! Either him or Milhouse. He’s hilarious! Kill The Ideal’s self-titled EP is out now. To purchase the EP, or to get tickets for any of the shows Kill The Ideal will be playing, please visit the band’s Facebook page. 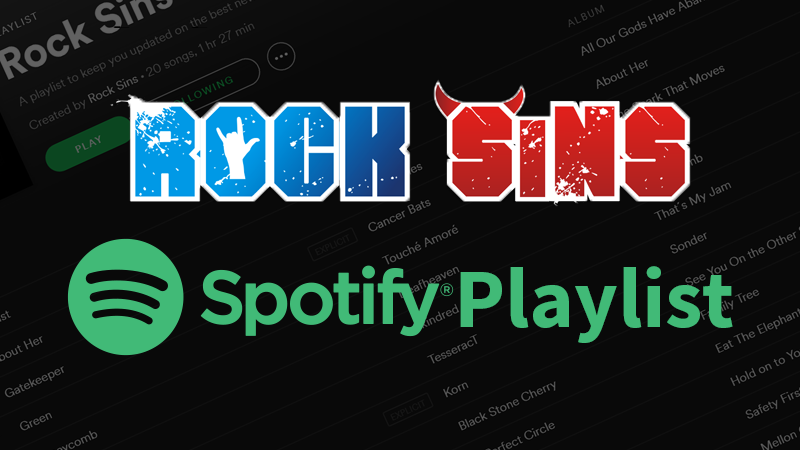 Stay tuned to Rock Sins for more introducing features very soon!